After a year of legal jockeying, a high-profile trial between ride-hailing company Uber and Google’s self-driving car unit Waymo is finally kicking off Monday. 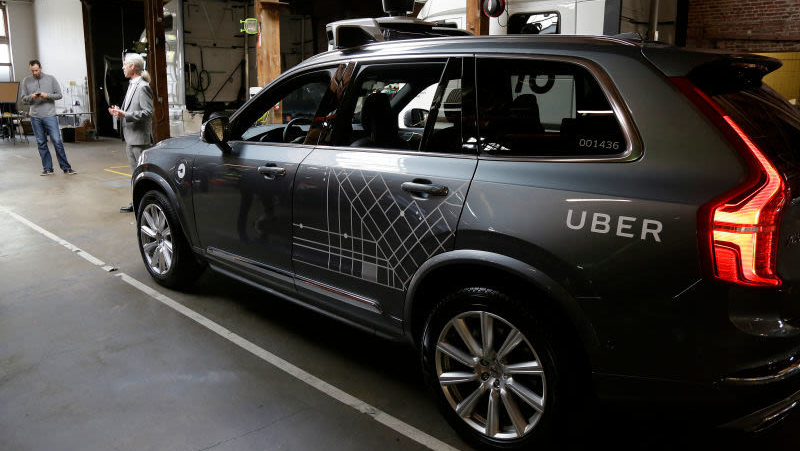 The case centers on whether Uber advanced its self-driving car program by relying on autonomous tech files allegedly stolen from Google. Here’s what you need to know. In particular, former Google engineer Anthony Levandowski is accused of stealing 14,000 files from the company’s servers before he left the company to launch a self-driving truck startup called Otto that was later acquired by Uber. Levandowski was later fired by Uber for refusing to assist in the company’s internal investigation of the purloined documents, and he’s so far exercised his Fifth Amendment right to avoid self-incrimination, facing a possible criminal investigation for trade secrets theft. But here, for you to digest, is a very straightforward summary of how this began, what’s at stake, and what’s to come. When you realize the entire case centers around two massive companies, and people who’ve been surrounded by technology their entire lives, the genesis of this situation is memorable. The issue with the email? The Uber employee CC’s someone from Waymo. The other issue? Waymo believed it resembled one of its own designs. Oops. From there, Waymo dug in and found more evidence of what it believed was an orchestrated attempt by Uber to hire Levandowski with the intent of using Waymo’s self-driving car knowledge to advance its own autonomous driving ambitions. During the legal wrangling leading up to the trial, Waymo acquired a damning report that showed it still hired Levandowski, despite completing a due diligence report that cast doubt on whether he took—and kept—the files from Google. The report’s likely to play a key role in Waymo’s case against Uber. The auto industry’s surely looking on with great anticipation over the case’s outcome. Alsup has raised serious questions about what it could mean for employees who jump around companies in Silicon Valley, a place well-known for short-term employments. Similar cases have propped up over the last year, most recently with electric car startup Faraday Future, which accused a number of former execs of stealing trade secrets before heading off to start a new venture. Both sides have plenty to prove. Uber, in particular, has lost a lot of momentum on its self-driving car program from this case, so it has the incentive to prevail in court. Waymo, meanwhile, has what’s considered the top self-driving car program in the industry; surely it wants to put a stop to the use of the stolen technology, if Uber had in fact utilized some of it for the company’s own program. But, in reality, whatever the jury decides, the case is almost certainly far from over. Whoever loses will probably appeal, and whoever loses at that level will probably appeal again, and we’ll be talking about this case for years to come.